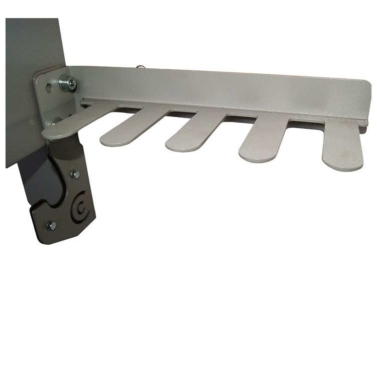 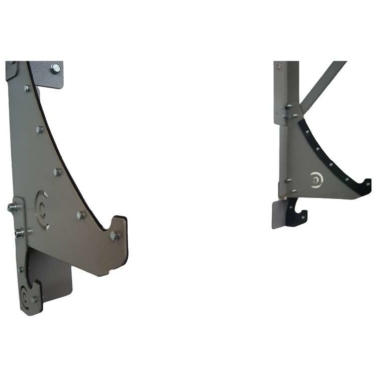 The kipping pull up bar extends 800mm from the wall. 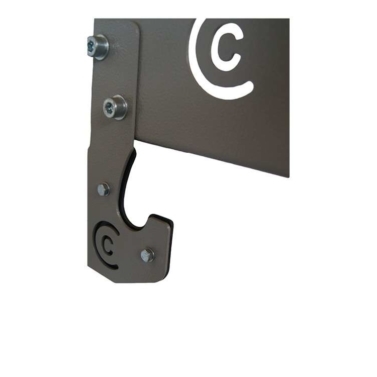 The pull up bar securely attaches into the catch and latch holes. 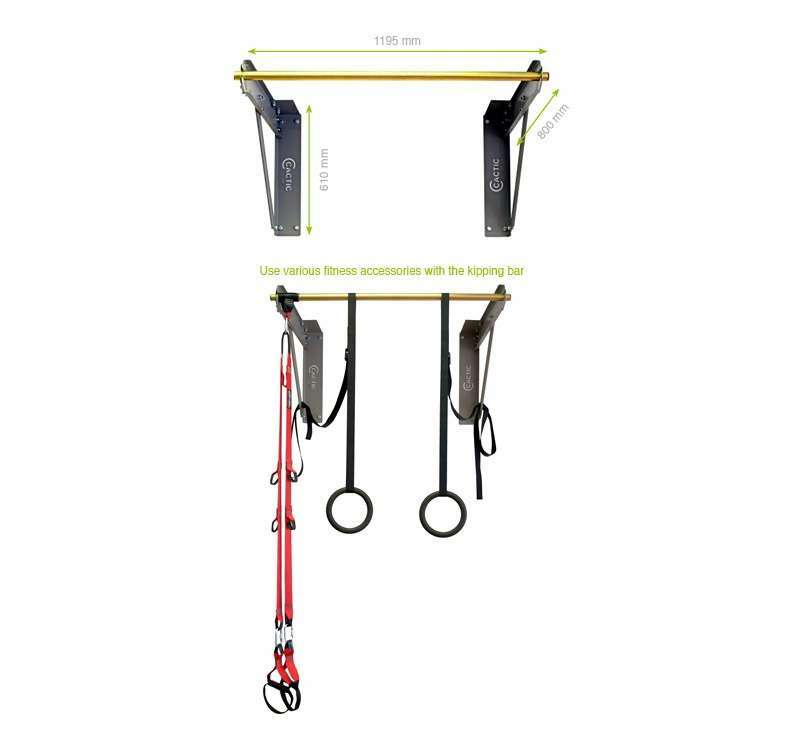 Pull up bar can also be used on its own for stom- ach, stretch and light weight bar exercises.